A Facebook ‘Like’ is more valuable than a tweet or a pin. In the world of e-commerce, a typical ROI from Facebook Ads is 152%. These and other facts speak for themselves... To stay ahead of your competitors, use Facebook and use it wisely to increase your sales and conversion rates! 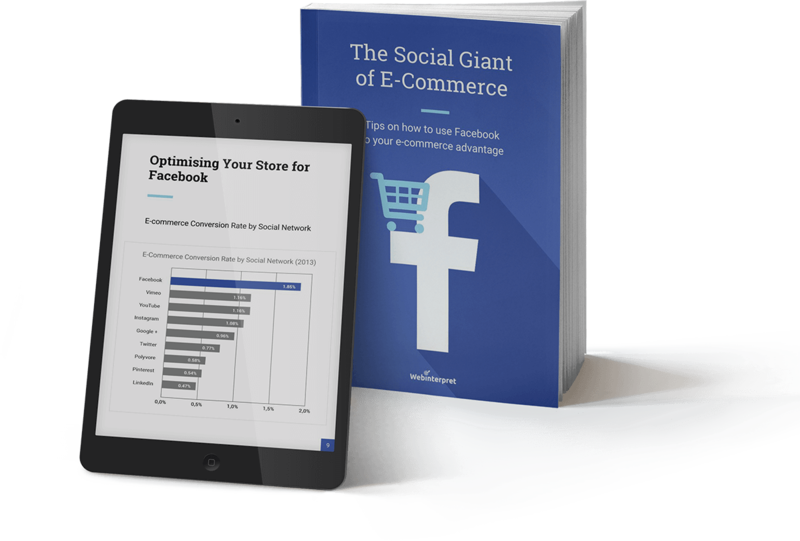 Comprehensive information on how to use Facebook to boost your online sales. You will find out how to optimise your store for Facebook, advertise your offers and create engaging content that will change your contacts into customers.